Salad greens and tomatoes team up to provide vitamin C, and the carrots are rich in vitamin A. Add dressing just before serving; toss to evenly coat. 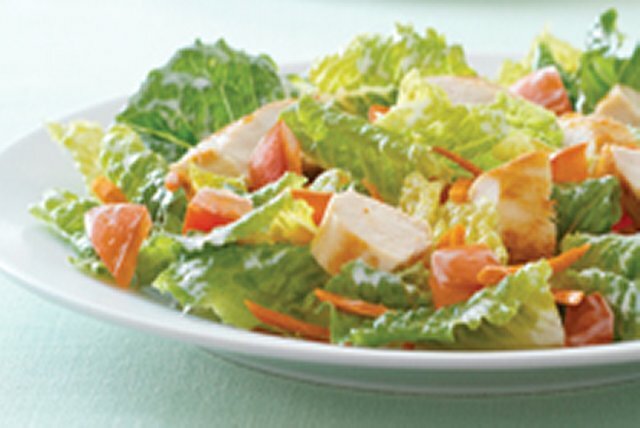 Prepare as directed, using Kraft Calorie-Wise Creamy Caesar Dressing.